Before going ahead, in think in your mind, a question that how does work turned on Auto-update Apps? Then there is an exact answer. 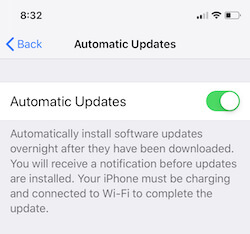 Automatic App updates feature will push your iOS device (iPhone, iPad, iPod touch) to update Application automatically when new version available. On behalf of new technology and features, the developers always keep apps up to date with the small or big update cause it cares your privacy, Security and improved the user interface. for that, you will have to turn on/ Enable automatic update apps on iPhone. In your iOS device ten to hundred of installed apps, manually check with each of app shouldn’t possible. In this case which is the best way for you? And which case user can use it? And when not? 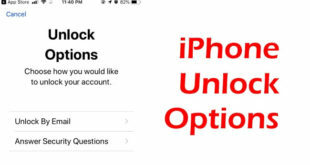 A new option that keeps your iPhone up-to-date with the latest software update. Check the below settings and Enable Automatic Software update. Go to the “Settings app” on the iPhone. A screen will show, “Automatic Update” > “Turn on” it. 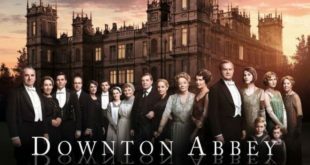 Automatically install software updates overnight after they have been downloaded. You will receive notifications before updates are installed. 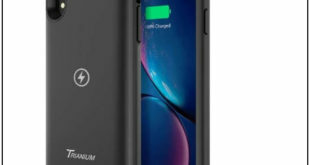 Your iPhone must be charging and connected to Wi-Fi to complete the update. Now you Can also Turn on Software Update on MacOS Mojave. Step 3: Now turn toggle Updates On/Green. Since now you don’t need to check app update manually. With up to date app, you can minimize a chance of an error like App crashing, files and server connection, and configuration. on the same screen, you can also turn on Automatic download Music, Apps, auto download Books & Audiobooks. in iOS 11.2.5 or later users gets Auto-update Apps Notifications from the App Store on the Notifications center. For that guy who felling annoying then there is a toggle to disable Auto-update Apps notifications on iPhone by following way. Go to Settings App – Tap Notifications – Tap App Store – Turn toggle off Allow Notifications. Related Article: Why won’t my iOS App Update, Download or Install? 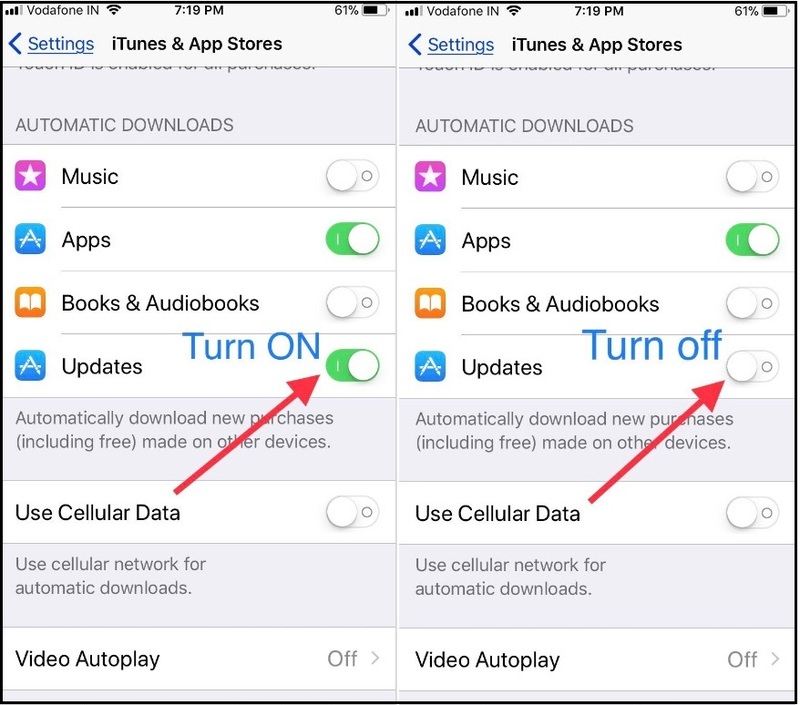 To save data usage you should turn off Auto update Applications. To do that, go with following steps. Step #3. Next up, Turn Updates toggle off. So from now, you will have to update your App from the App Store Updates tab. To update software yourself, just launch the App Store – tap on Updates tab appear second to last on the bottom of the screen, and here you can appear all new available Apps update. just tap on Update beside of Application name. And enjoy latest feature and bug fix firmware for the App. 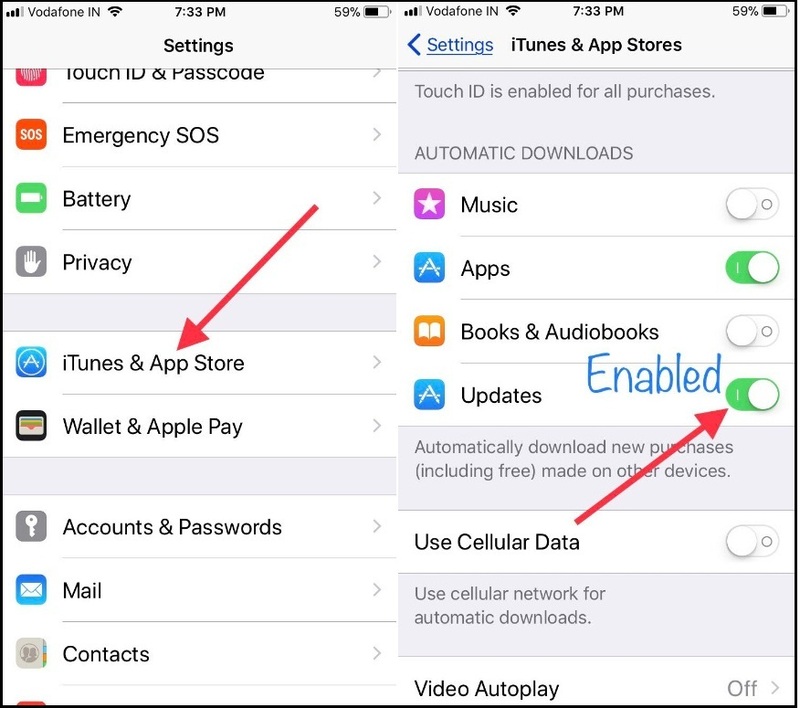 The way of enabling or disabling auto-update installed apps in iOS devices (iPhone, iPad and iPod touch) quite simple, But for the new folk here is the actual meaning of this option. Previous 7 Best Yoga Apps for iPhone and iPad, Free Trainer 2019: Yoga Near Me Help!